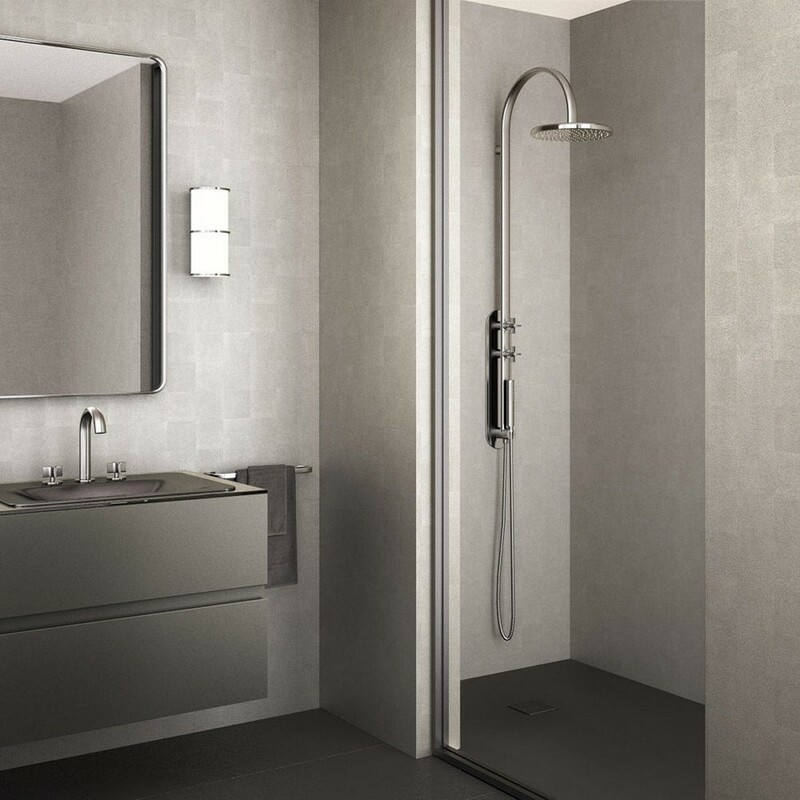 A few years Giorgio Armani Group was looking for a partner in the bathroom interior sector. 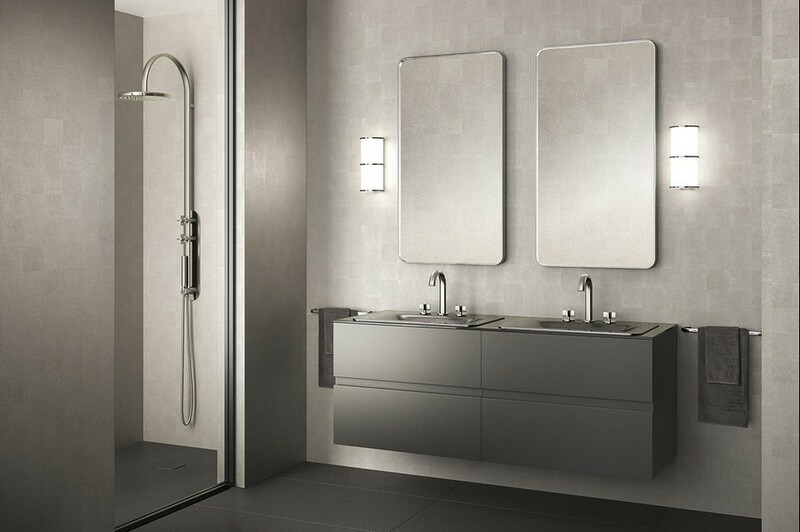 The main precondition for potential cooperation was a brand’s adherence to the culture of Armani brand and its ability to create not just individual bathroom components, but the entire global bathroom concepts. As a consequence a Roca/Armani union was born. 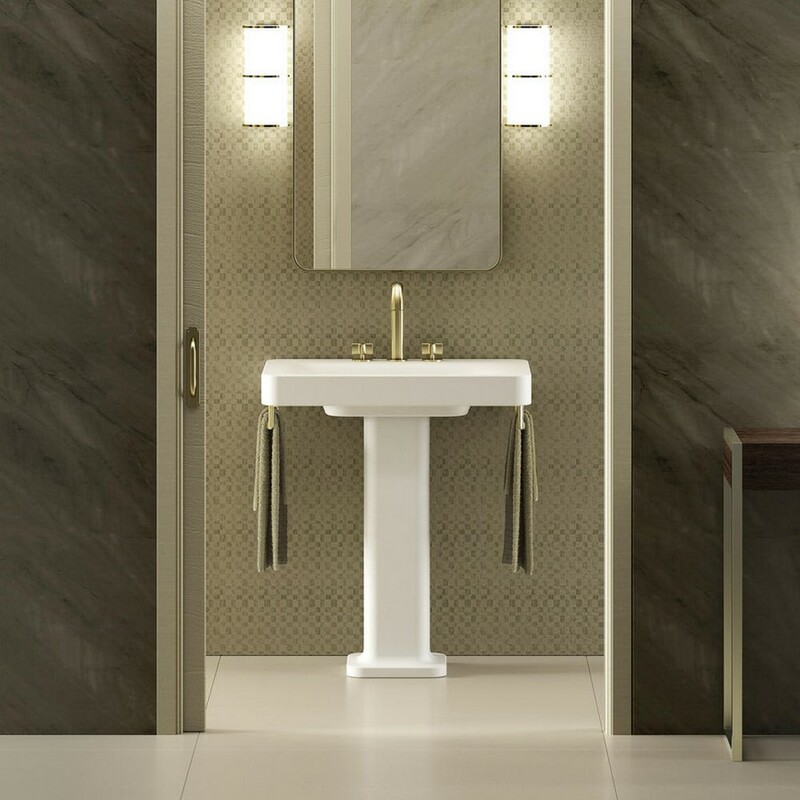 This synergy of two leaders – Armani Group in the world of haute couture and Roca in the world of complex bathroom interior solutions – resulted into the emergence of a new style, aimed at cultivating an image of a bathroom as a luxurious room of the apartment. This month at ISH trade fair in Frankfurt am Mein the companies introduced their new exclusive line named “Baa”. The new collection is the embodiment of the nicest features of both brands: commitment to ultimate comfort and wellbeing, refinement and innovative technologies. 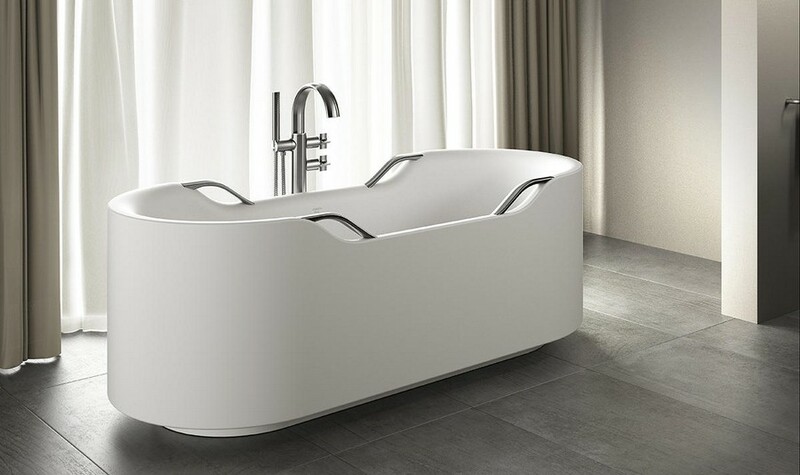 Baa’s design is a means to emphasize that a bathroom should be practical, luxurious, stylish and ergonomical. Like a piece of haute couture, the collection is characterized by refined finishes, careful selection of materials and detailed consideration of each detail. 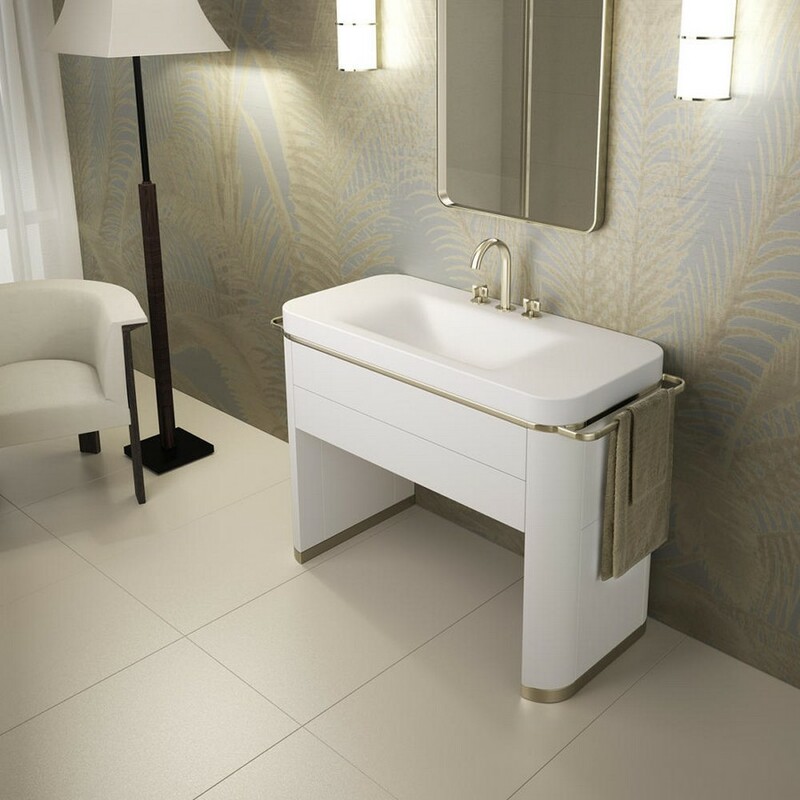 The creators drew inspiration from retro motifs; hence, every bathtub and washbasin features the hues of matte gold and dark metals. The furniture is made of lacquered ivory wood or rough oak, and the entire space looks so integral that the first word conjuring in one’s mind is “harmony”. The collection is available in several colors, including Giorgio Armani’s favorite – “greige” (grayish beige), as well as black and white with shagreen texture. 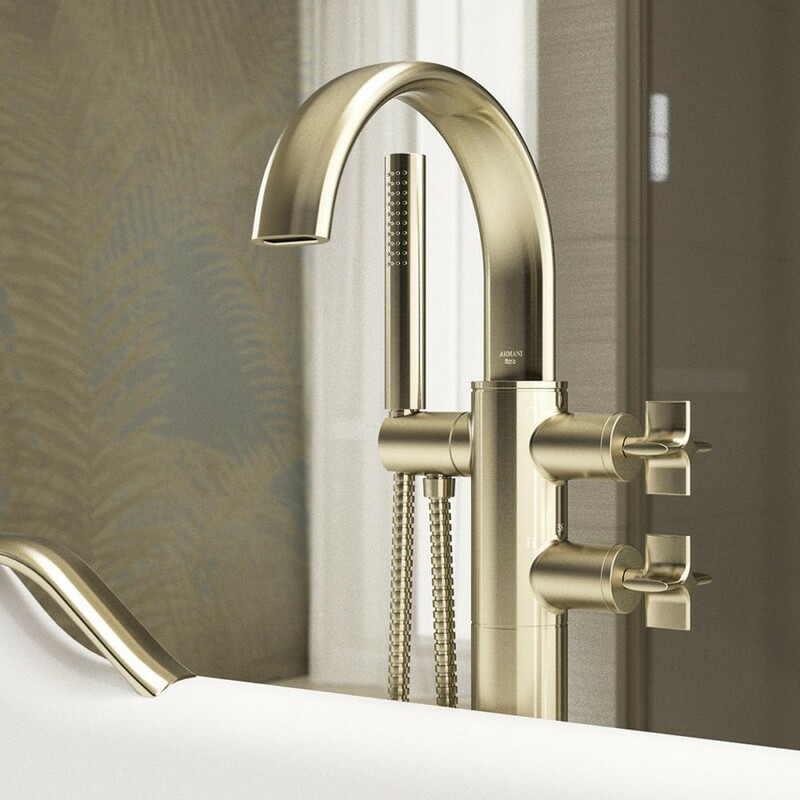 The collection comprises a new line of toilet bowls and bidets, shower bases, towel rails and beautiful metal handles in three possible finish versions. The whole concept was worked out by engineers and designers of Roca Company and Giorgio Armani himself. 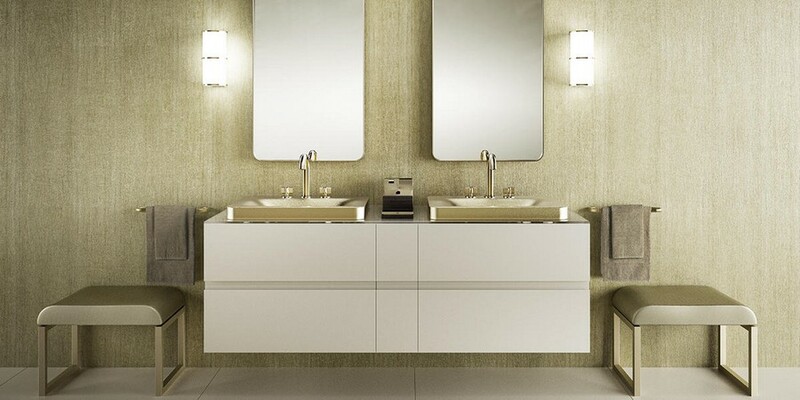 With Baa collection the entire bathroom interior can be designed in a single color scheme, from ceiling to floor. Roca brand has always devoted particular attention to the aspects of eco-friendliness and sustainable development. At most of its factories a program of zero waste is instituted. Additionally, Roca always integrates eco-friendly solutions into its new product lines. 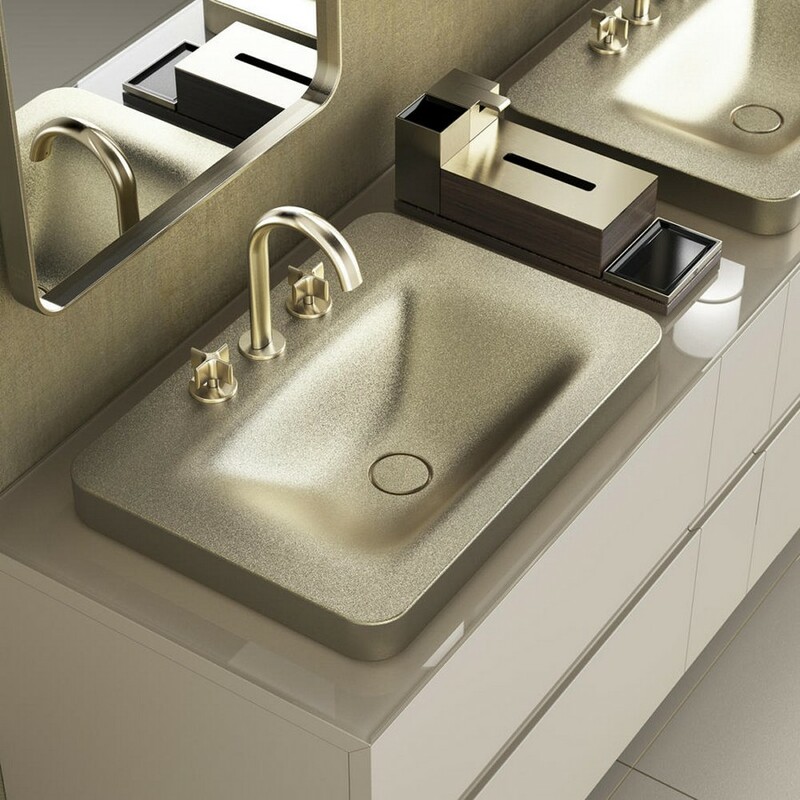 This is also true for the new Armani / Roca collection; mixer taps in it are equipped with a smart technology that saves electricity and water. In the Baa collection exclusive design is coupled with maximum comfort. 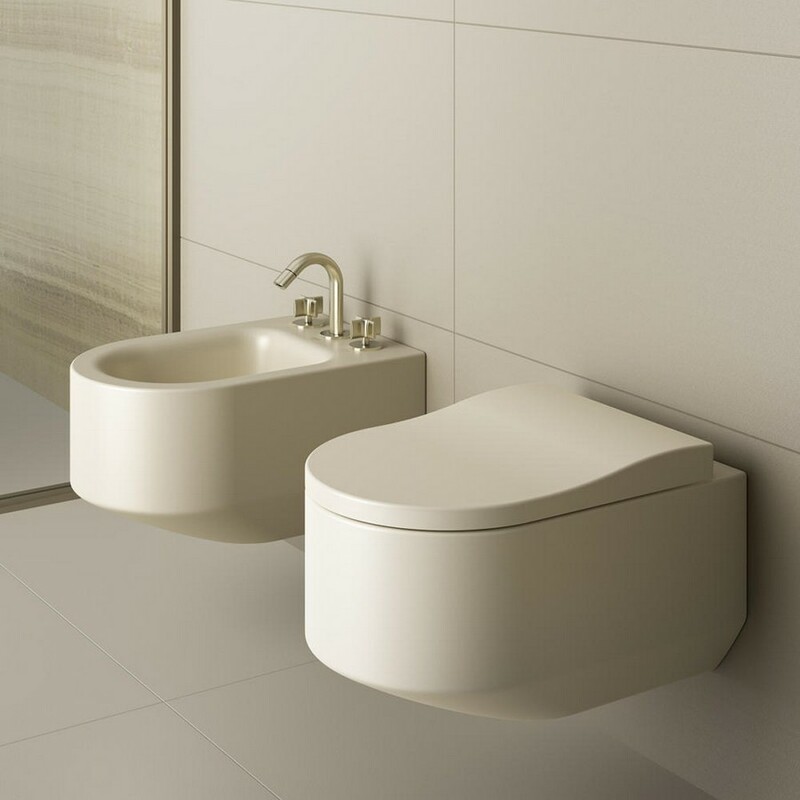 For example, the structure of the toilet with an incorporated sensor provides for double flushing, which ensures ultimate hygiene. An aesthetic bidet model for its part has a mixer tap, which is not visible when the cover is closed. In the wellness zone technologies are designed with maximum relaxation in mind. 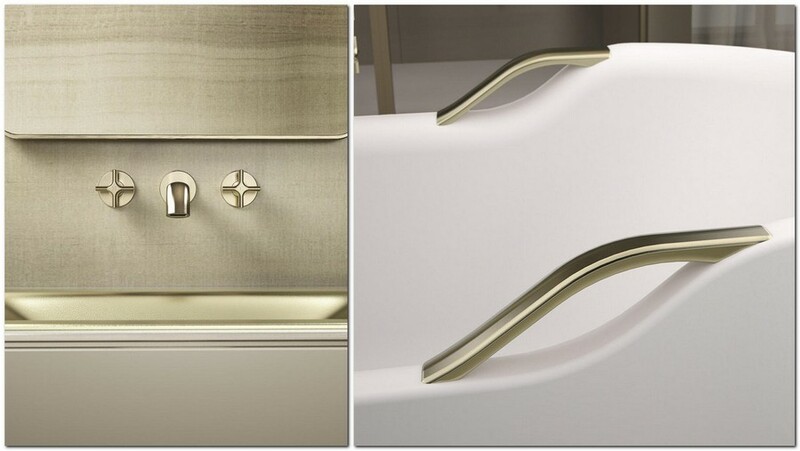 A matte acrylic bathtub, for example, can optionally start water jets with the effect of champagne bubbles. And they would be absolutely identical by size and texture to the ones you can find in a genuine sparkling wine.